Thanksgiving is tomorrow and that means there is a month left to find the perfect gift for your special someone – or gaming fanatic. 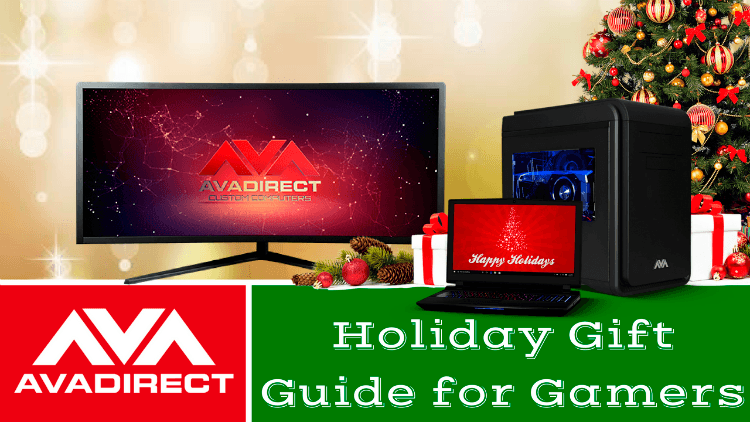 In the third segment of our Gift Guide for Gamers, we are breaking down the top computers from AVADirect. This year, we’ve picked the top systems from several categories that are sure to make your holiday season great for you or that special techie in your life. Check out the best of the best this holiday season. Everyone has a workaholic in their family, but give them something better to work with this season. This ultra-thin laptop comes standard with a Core i7 Intel processor to boost your work performance across the board. With a full size keyboard and number pad, don’t let anything slow you down. Get your work done efficiently and quickly with this work laptop. See more information here. To those serious about gaming without being tied down to their bedrooms, the Avant P870 laptop is pristine. The 17.3” screen provides the best quality resolution to match the available 4K resolution means you won’t miss a thing on your game screen. This computer is standard with up to 64 GB of DDR4 memory, a 2.0M webcam, and a full color backlit keyboard with special gaming keys. 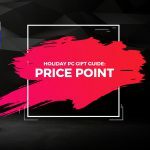 Reviews argue that it rivals the best gaming desktops in performance and graphics thanks to its powerful i7 Intel Core Processor and NVIDIA graphics. Check out some of the specs for this gaming animal here. The Avant Tower is AVADirect’s must have item this season. We’ve combined the incredible power of the Skylake Intel Core Processors with the unbeatable graphics from NVIDIA to embody the core of high-end gaming. 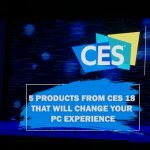 Today’s fast paced world hasn’t slowed down this gaming computer that is completely customizable to your needs, no matter how big or small. Click here for more about the Avant Tower. Full size performance now comes in a tiny packaged thanks to the innovation behind the Avant Nano Cube desktop. Available with up to 16 GB DDR4 memory, unmatched graphics from NVIDIA, and onboard Wi-Fi. This computer offers the space saving features that traditional desktops can’t without losing any power. This computer is available in a sleek black or white case and has a much smaller price tag than some of the bigger systems. Shopping on a budget won’t be hard this year! Click here to customize yours today. Virtual Reality is by far at the top of every gamer’s wish list this season, but they are going to need a VR capable computer to play any of the VR games available today. The Avatar takes it one step further. VR Ready means that you can plug in and start playing endless hours of VR fun. With the ability to overclock and SLI for max performance, this computer smashes all benchmarks in its class. With this customizable VR computer, the only thing your gamer will want is a headset to get started. What are you waiting for? All-in-One’s are a new trend in the computer industry, but not one that should be overlooked. We picked the Ascendant Workstation for this year’s hot list as the best all-around performance in one single box. The 34” screen gives you plenty of space to get your best work done on this workstation. Specially designed for those who like to innovate, the Ascendant boasts an Intel Core i7 CPU, up to 32 GB memory and the option to have up to 2 hard drives or SSDs. Speed up your workflow in Adobe and CAD programs with this gorgeous workstation from AVADirect. Click here for more information on this All-in-One. The Avalanche II is the ultimate gaming machine. 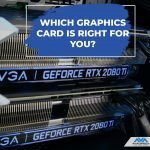 No other computer competes to the Avalanche’s performance, power, and looks. It features handcrafted hardline liquid cooling in each sleek ice white case. The Avalanche conquers 4K gaming with ease and utilizes dual graphics cards for the best resolution on the most intense games. Pick between a quad-core i5 or i7 Intel CPU and unbeatable overclocking for the best performance of any computer. What makes this system unique is you. Customize it to your specifications with dozens of possible configurations and parts to choose from. This computer was built from the best quality parts for the best gamers out there. Click here for more information on the Avalanche II. These are our top picks for this holiday season. 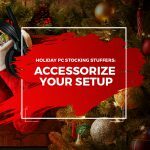 Give the gift of better computer with quality computers from AVADirect. Don’t see something that you are interested in? AVADirect Custom Computers allows you to pick any system and customize it to your specifications without compromising. Visit our website or call a sales representative in our office today to help walk you through configuring your perfect computer. Our computers come with lifetime technical support among other things, and are shipped with the utmost care. 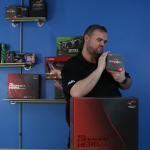 Our systems provide a unique gaming experience that is sure to be a winner this holiday season. 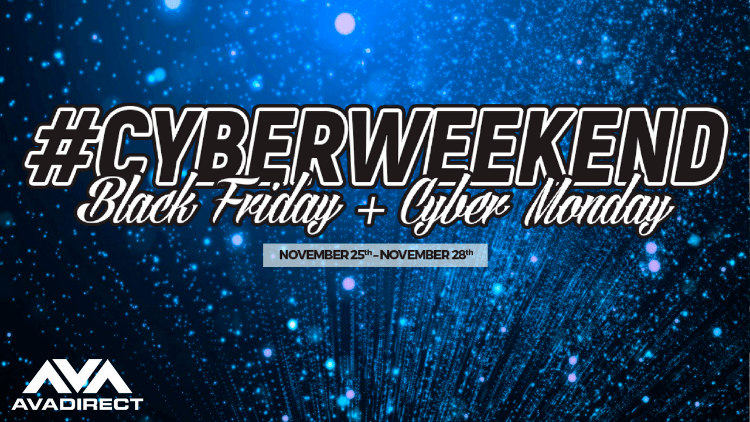 Check out our Black Friday/Cyber Weekend deals happening this weekend for a limited time only! While supplies last, so order yours today!